To produce highly professional in-house videos is is important to be in full control of lighting and external sound. 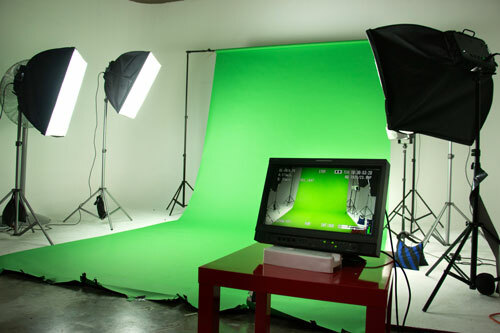 It’s also beneficial to be able to film against a green-screen background so that you can add images, video and graphics behind the presenter, but hiring a purpose built video studio can be extremely expensive. So why not consider setting up your own in-house studio on either a permanent or temporary basis? Inhouse Videos can advise you where to locate the studio, how to equip it and how to add sound-proofing when needed. If you don’t have sufficient space at your own location we can recommend a local studio or a local space where you can set up your temporary studio. You will be pleasantly surprised just how inexpensively you can set up your own studio. It will save you a great deal of money if you have been paying to use a purpose built studio.